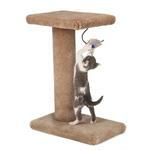 Everything your cat loves flashing lights, catnip and scratching action. 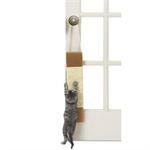 The Star Chaser Cat Toy offers nonstop action from ball chasing to catnip to scratching. 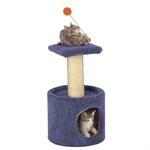 A special place for your kitty to sleep, play and climb The One Story Condo Tower offers a quiet place to sleep, a perch for a birds eye view of everything happening and a sisal post for scratching. 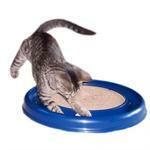 Turbo Scratcher Refill Scratching Pads 2 pads 4 surfaces just flip when you cat has worn the side down. 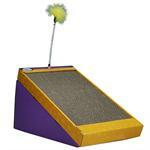 What cat can resist the catnip infused Ski Slope Scratching Post from Four Paws, the incline design gives added stability. 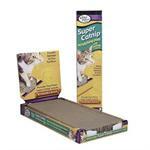 Four Paws Super Catnip Scratching Post is the perfect way for your cat to alleviate its need to scratch, while protecting your furniture, drapes and rugs. 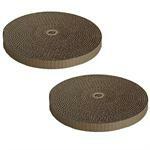 The Hanging Sisal Scratch Pad with Its rough, scratchy texture is one of natures best ways for cats to condition claw muscles and remove old claw coverings. 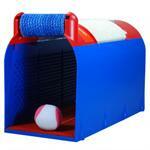 The Kitty Kat Groom and Fun Tunnel provides your kitty with hours of play and grooming fun, a great hiding spot with lots of scratch surfaces. The Post and Platform will keep your kitten or cat entertained for hours and when they are done playing it becomes the perfect perch for napping. Completely carpeted with plush, non-looped carpeting. 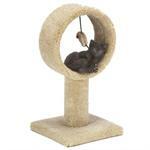 Rest, play and sleep the Scratch N’ Hoop offers a little bit of everything; cats love to jump up and sleep inside the hoop or play with the dangling mouse. Covered completely with catnip carpeting for hours of scratching fun. Sisal Rope Post, nature’s way for cats to condition claw muscle and remove claw coverings, your cat will love the texture and the feel ask they scratch at the sisal. 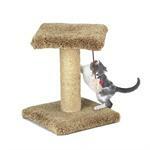 The best of both worlds the Sisal Post with Carpeted Base and Perch gives your cat the choice of sisal or plush, non-looped carpeting. 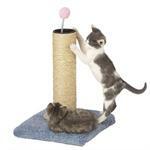 The Turbo Scratcher is not just an ordinary cat toy – it is a scratching pad and a cat toy combined!